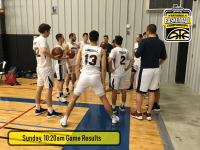 The UC Santa Barbara defense has been the story of the Gauchos championship run at this week’s NIRSA National Soccer Championships in Foley, Alabama. UCSB did not allow a goal in regulation or extra time against defending champion Michigan State in the semifinals earlier Saturday, using the PK shootout to advance. 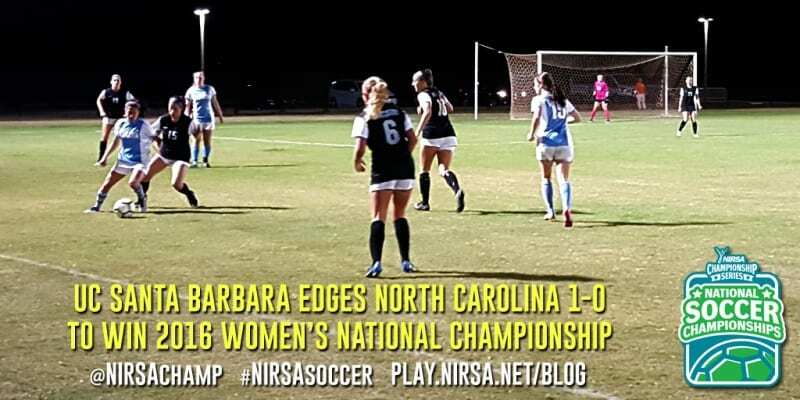 In the evening final, UCSB posted a goal of its own in the 35th minute and the defense recorded yet another shutout as UC Santa Barbara won its 6th national championship, 1-0 over North Carolina. The Gauchos goal in the championship match came from Lindsay Ringman, who put a solid shot from the left side of the box past the outstretched arms of the UNC keeper Kathleen Connell in the 25th minute. UNC threatened throughout, but UCSB was up to the challenging, including keeper Lauren Racioppi who stopped 8 Tar Heel shots. UCSB now has six total women’s NIRSA National Soccer Championship titles, but this is their first since a run of five straight from 2007 to 2011.